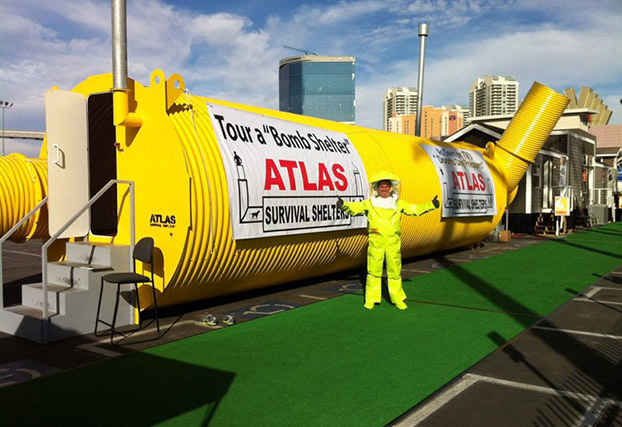 ATLAS SURVIVAL SHELTERS is an underground NBC survival and bomb shelter manufacturer based in Los Angeles, California and serving all of the United States, but especially Texas, California, Utah and Arizona. 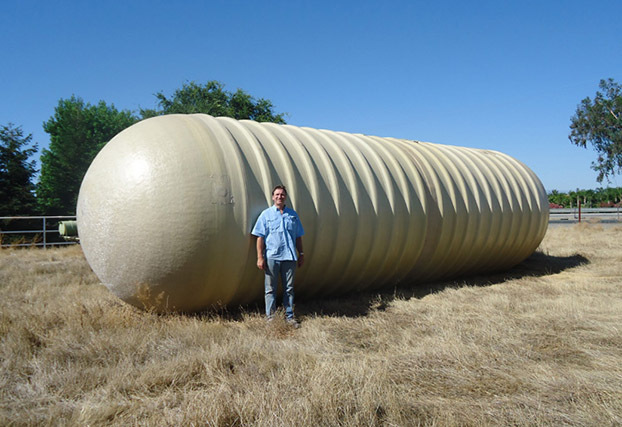 It's founder and owner, R.D. 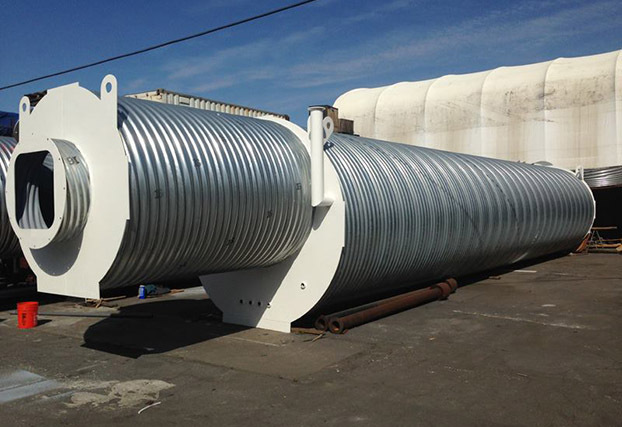 Hubbard, is a multiple award winning designer and fabricator and has been in steel manufacturing since 1981. 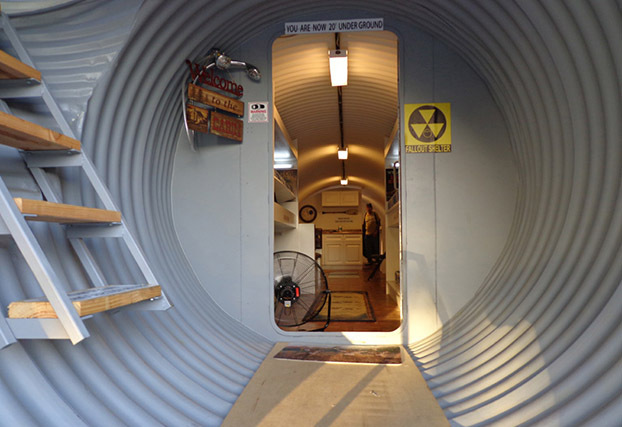 We manufacture all sorts of survival shelters used to protect you and your family in case of a pandemic outbreak (Superflu), civil unrest, malicious mobs and biological, nuclear FALLOUT or EMP attacks from home grown terrorists or other nations. 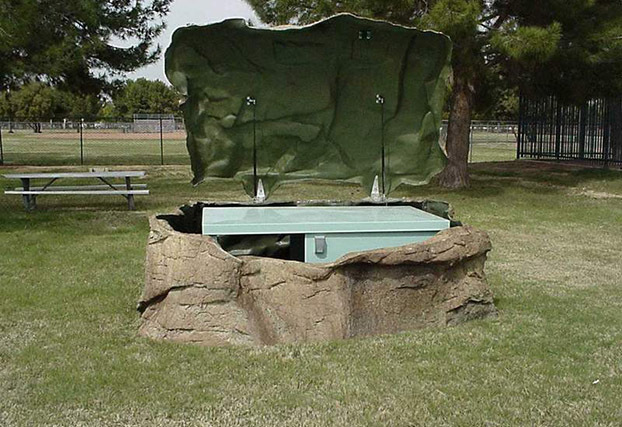 We have shelters for your backyard or your private land. 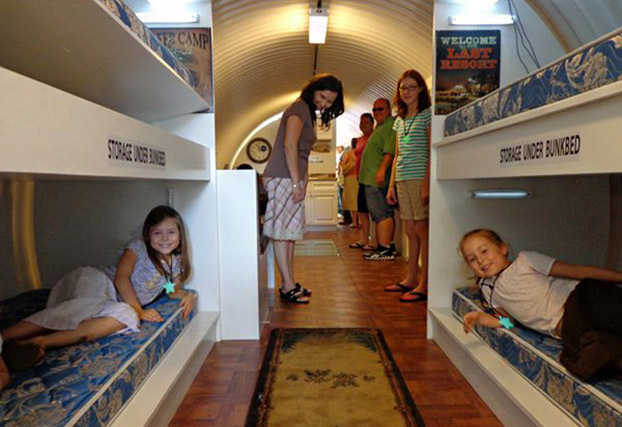 These Underground Cabins are comfortable enough to be used regularly by weekend campers or deer hunters. 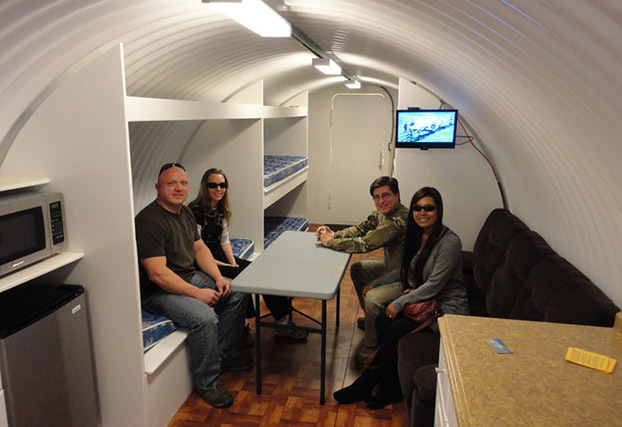 ATLAS SURVIVAL SHELTERS produces the most unique and safest galvanized corrugated pipe shelter on the market today with a 200 year life-span. 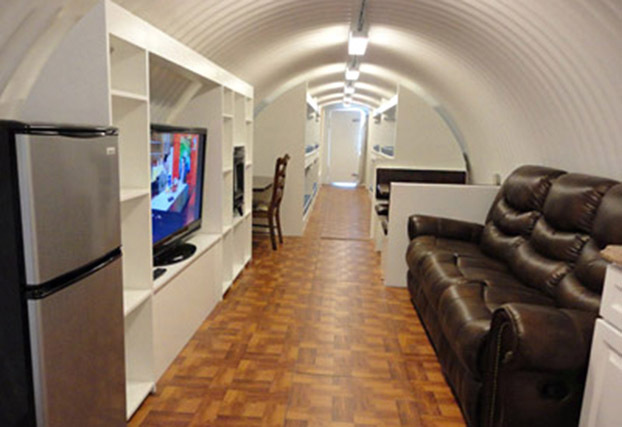 NBC Shelter Models, Doors and Hatches, Backyard Bunker, Atlas AirGEN Standalone Scrubbing System. 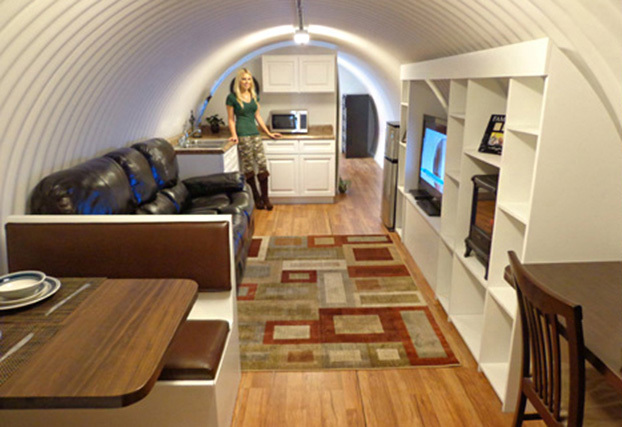 Introducing the BombNado™, a safe-room, tornado shelter, and fallout shelter all in one! 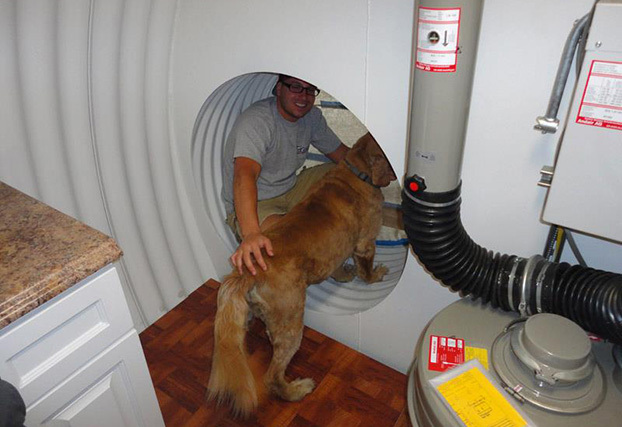 Built to install discreetly underneath your garage or backyard.